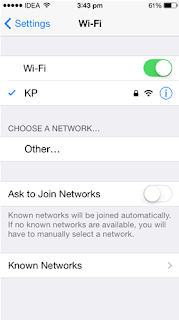 Whenever you connect to a Wi-Fi network from a smartphone or tablet, either Android or iOS, you must enter the password the first time that network to connect to it and to start navigating. This password remains stored in the internal memory of the device so that whenever we have the network available to us we connect to it automatically without the need to enter it again. However, because of this, it is possible that if we need to recover the password in the future (for example, resetting the factory settings smartphone or trying to connect from another computer) do not remember and have to return to ask for it to the owner, and even stay without the possibility of connecting. 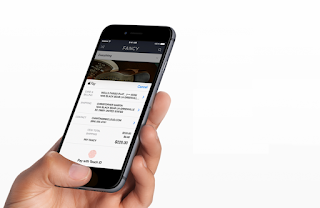 As we have seen above, Android is possible to recover the password if we are users with root permissions , however, iOS is a much more closed operating system, so this method does not serve us to access passwords mobile operating system from Apple. However, all is not lost, thanks to an application it is possible to recover these passwords. For security reasons , as in Android, these passwords are not accessible to all users, so if we want to recover it is necessary to have done Jailbreak prior to our iOS device. As we said, thanks to the "application Network List " we will be able to see all the passwords of all Wi-Fi networks to which we have connected. Obviously, this application is out of politics iOS applications, so you will not find in iTunes (and hence need Jailbreak). 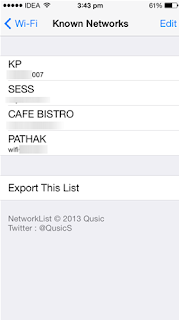 We can download Network List completely free from Cydia . Once downloaded, the store own alternative applications will install on our device automatically, so we will make the process complete. Once we have already installed Network List, the only thing left to do is go to Settings menu of your operating system and from there, access the section of Wi-Fi connections. 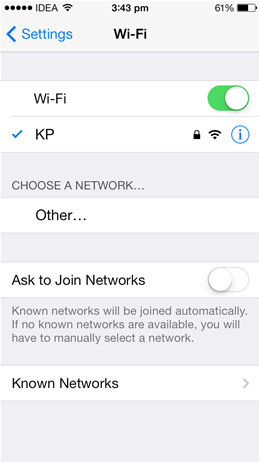 Here at the bottom, we will see a new section called, depending on the version of IOS that we have installed, " Network password ", " Known password " or " Known Networks ". f you click on this new post we will see how we open a new screen where you will see a list of all the networks to which we have connected from our iOS device and their corresponding passwords. Although this application lets us export the list of all passwords (at least in the most recent versions of iOS), you can not copy them one by one note or the clipboard of our device, so if we save we will have no another to pull a screenshot or resort to the classic, ie pen and paper.